Liz Bradley has worked for Montana Fish, Wildlife & Parks since 2004. She worked for 10 years as a wolf management specialist out of both Dillon and Missoula before taking her current position as the Missoula area wildlife biologist in 2014. She has a B.A. from UC Santa Barbara and an M.S. in wildlife biology from the University of Montana. Her masters and subsequent research was focused on wolf/livestock conflicts and their management. She now enjoys working on a wide breadth of wildlife management and conservation issues but especially appreciates being able to work at a local level and with a variety of people. 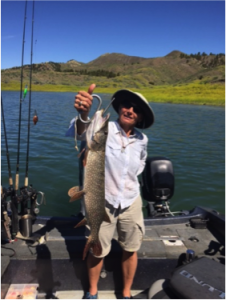 In her spare time she loves to get outside and spend time with friends and family hunting, fishing, skiing, backpacking, running, camping, bird watching, and floating wild rivers. 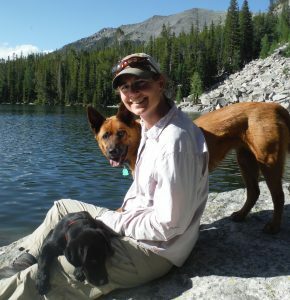 Her husband Dan and their 2 dogs enjoy exploring all of Montana’s wild places. And she loves a good book too. Vanna Boccadori has been the Butte Area wildlife biologist for MT Fish, Wildlife & Parks since 2005. She has a bachelors degree in biology from the University of Pennsylvania ($5 to anyone that can name the mascot) and her Masters in Fish & Wildlife Management from Montana State University ($5 to anyone that will convert from a Griz to a Bobcat). She has been a member of both the Montana Chapter and the National Chapter of TWS for over 10 years, helped establish the Chapter’s Small Grants program, and has served on the Education Committee for the past 3 years. She’s a boots-on-the-ground gal and spends a lot of time roaming the hills, both on and off the job. She’s recently taken up curling (for all you Canadians out there), in addition to her other pastimes of hunting, trapping, gardening, and raising chickens. 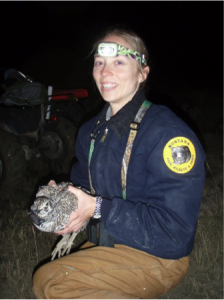 Lorelle Berkeley is currently a Research Wildlife Biologist with Montana Fish, Wildlife, and Parks working on research with prairie grouse. She’s been in this position for 6 years. Lorelle got involved with TWS to stay active in the wildlife and science communities. She feels a major benefit of being an active TWS member is that the membership is a good mix of students, agency professionals, and academic professionals and facilitates communication among these different groups as well as mentorship in a variety of job types. 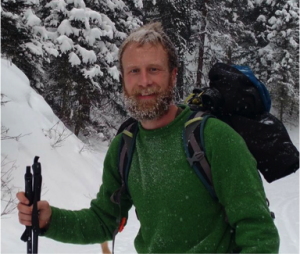 Dan Bachen is the Senior Zoologist for the Montana Natural Heritage Program, where he manages the zoological program to facilitate the acquisition and dissemination of species occurrence data, and assess the status of native species across the state. He holds a B.S. in Wildlife Biology from the University of Montana, and a M.S. in Fish and Wildlife Management from Montana State University. Over the course of his career he has worked with a variety of taxa ranging from charismatic megafauna like grizzly bears and elk to equally charismatic microfauna including reptiles, amphibians, terrestrial small mammals and bats. 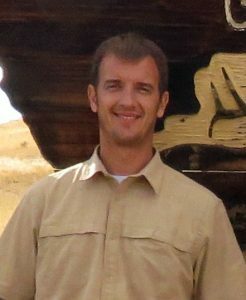 The primary focus of much of his work has been on providing data on distribution and conservation status of native species to help inform management of the species themselves and the ecosystems they inhabit.